Balancing Vehicle Wheels. Modern Car in the Auto Service. 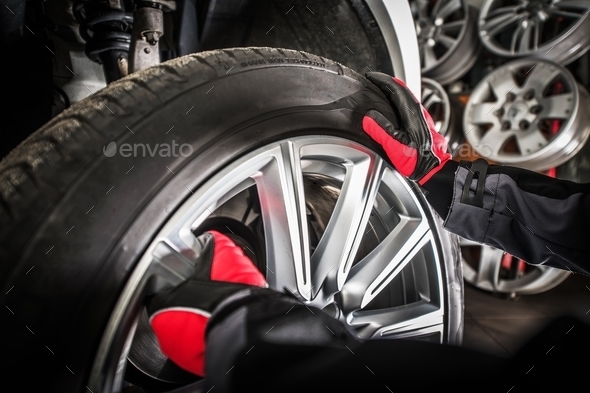 Professional Worker Removing Wheel From the Car.